Dak Prescott, QB, Miss State – While Prescott looked mostly as projected in drills, he really impressed in team interviews (by all reports). A solid leader with real football intelligence has many teams overlooking his accuracy concerns and has his stock as high as late 2nd-early 3rd and most likely the 5th QB off the board. Ezekial Elliot, RB, Ohio State – It’s usually difficult to raise your stock if you are already the #1 prospect at your position, but Elliot absolutely owned the Combine. A 4.47 in the 40 and smooth work in drills has him potentially in the Top 10 of this draft. Daniel Lasco, RB, California – While probably best served as a 3rd down/change-of-pace back, Lasco showed really impressive explosiveness (4.46 in the 40, 41.5” vertical and 11’3” broad jump) and strength (23 reps of 225lbs) for a man his size (6’ 209lbs) that should separate him from the pack in rounds 3-5. Josh Doctson, WR, TCU – Though not as tall as reported in college (6’2” 202lbs), Doctson none the less vaulted easily into the #2 WR on my board and with a late 1st-early 2nd round grade. A 4.5 in the 40 and a 41” vertical in addition to smooth hand-catching in drills shows why Doctson was so dominant at TCU. Will Fuller, WR, Notre Dame – A 4.32 in the 40 is bound to get you noticed but Fuller offered even more than that in drills. While not ideal by size (6’0 186lbs and 8.25” hands) Fuller mastered the gauntlet drill and looked like potentially the best deep threat in this WR class. Ben Braunecker, TE, Harvard – No report on if Braunecker aced the Wunderlic test yet, but his Combine numbers were definitely noticed. At 6’3” and 250lbs, Braunecker ran a 4.73 in the 40 and did 20 reps of 225lbs on the benchpress. A solid sleeper pick at TE. Jack Conklin, OT, Michigan State – Conklin came into the Combine as the #3 or #4 OT on some boards with questions of whether he could play LT or would have to stay at RT. Conklin left the Combine as a potential Top 15 pick with clear LT potential due to terrific footwork in drills and 35” arms. Le’Raven Clark, OT, Texas Tech – Clark has that magical word attached to prospects with mixed game tape but excellent measurables: POTENTIAL. The longest arms in the OT class (36.125”) and nice mobility could have Clark sniffing the bottom of round 1 in April. 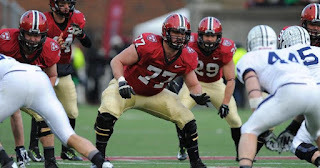 Ryan Kelly, C, Alabama – Kelly looked masterful throughout the Combine and got rave reviews in meetings. It is rare to see a center go in round 1, but Kelly has earned it with his Combine performance. Christian Westerman, G, Arizona St – Most scouts saw Westerman as a very mobile, zone-blocking scheme guard based on game tape. But 34 reps on the benchpress (the most among OL prospects) think he could be that and more and cemented him in round 2. Christian Hackenberg, QB, Penn State – After a stellar freshman season, Hackenberg regressed at his time in Happy Valley. Some attributed that to poor OL play or the loss of key weapons. But in drills at the Combine, Hackenberg looked like he did in later years with poor footwork, accuracy and poise. He seems like much more of a project late rounder than a Day 2 guy. Kenyan Drake, RB, Alabama – After a very impressive Senior Bowl, Drake looked to be putting the injury concerns that plagued him at Alabama behind him. However, with on 10 reps on the bench press (the worst among RBs) Drake has shown his lack of time spent in the weight room conditioning himself for the pro game. Drake seems like a KR specialist more than a complimentary runner. Rashard Higgins, WR, CSU – “Hollywood” Higgins showed a lack of explosiveness hardly worthy of his nickname. Maybe he plays above his statistics in games but that is probably a gamble worth taking no earlier than Day 3 of the draft. Hunter Henry, TE, Arkansas – Though still the #1 TE on the board, Henry’s weak bench (13 reps) probably ends any thoughts of him being 1st round talent. Vadal Alexander, G/T, LSU – Though he played OT at LSU and some at the Senior Bowl, Alexander’s complete lack of mobility in space (illustrated by a 1.92 time in 10-yd split and a 8.04 in 3 cone drill) clearly shows he is purely a guard prospect, though a very good one. Nila Kasitai, G, Oklahoma – A lineman that only puts up 12 reps on the bench is inexcusable. Kasitai is not even a draftable prospect for me currently. Our founder and draft expert Jeff Bowers brings a taste of the Sports Narrative to the history of the NFL Scouting Combine. From a scattered beginning, to a televised phenomenon , Jeff walks your through all the details you need to know, including a few unique records set by some not so famous attendees. Commentary: This year’s quarterback class lacks a true “franchise” player, but the depth in rounds 2-4 raises the overall strength. Goff and Wentz have separated themselves from the pack but both come with questions; Goff’s potential but slight frame versus Wentz’s leadership but level of competition. Lynch needs grooming but has all the tools. 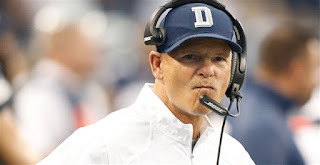 Cook needs solid workouts and interviews to maintain his already falling status. Jones is my choice of the 3rd tier guys as he will likely be a better pro than in college. Commentary: This is an pretty nice year to grab a RB, as the position goes 10 or 11 deep with quality talent. Elliot is clearly a #1 runner and will likely hear his name on Day 1. Collins and Henry are in my second tier, with questions of durability for both. Drake tops my tier 3 of runners due to his kickoff ability and lack of wear and tear (assuming he can stay healthy). Booker is also a #1 type runner only in tier 3 due to injury and fumbling concerns. Commentary: This is one of the worst WR classes I have seen in a long time. Treadwell is a borderline #1 WR if he shows the speed. Thomas is a possession receiver with nice size but who might struggle to separate at the next level. Doctson is likely a quality #2 receiver similar to Jordan Matthews in Philly. Coleman is explosive but the recent history of super fast slot receivers is mixed at best. Fuller is my darkhorse who could just be a guy or turn into the next Antonio Brown. Commentary: The tight end class this year only has 1 standout and a lot of small-school hopefuls. Henry is a legitimate stud and might go in round 1. Higbee is coming off of injury but has the most upside of any player in this class. Hooper is a solid but unspectacular. Williams is a basketball star that has shown a willingness to get his nose dirty too. Vannett was an under-utilized prospect at Ohio State hoping to be a better pro. Commentary: The OT class is good, but not great in 2016. Tunsil might be the #1 overall pick, but still needs to add some strength. Stanley is good, but will likely be overdrafted due to need. Conklin is solid in both run and pass and could be ready to play RT as a rookie. Decker might be better suited to be a RT in the pros. Ifedi could play guard or tackle and excel at either. Commentary: This is a great year for interior linemen, which has seen a resurgence of respect in the league. Alexander gets my nod as the best guard due to his flexibility and tenacious run blocking. Whitehair is powerful and could start immediately for most teams. Garnett is smart, loves football and fights. Turner is best suited for a power running system with strength but lack of athleticism and Westerman is best suited as a zone blocking scheme for his mobility. Commentary: Though is runs out after only 6-7 draftable prospects, the 2016 class of centers has some real stars. Kelly continues the tradition of quality Bama linemen. Martin, the brother of Cowboys LG Zack, is solid and could start on Day 1. Tuerk is coming back from injury but would be my #1 center if healthy. Glasgow showed at both the Shrine Game and Senior Bowl that he belongs. Allen anchored a solid line at Michigan State and should be a fine pro. Carson Wentz, QB, North Dakota State – Wentz was the story of the Senior Bowl and he did not disappoint. Showing great poise and leadership, Wentz checked a lot of boxes (6’5” 233lbs with good arm strength and solid footwork) and might have earned himself a Top 5 selection. In fact, he might be the most NFL-ready QB in this class and could be off the board before Dallas picks at #4. Jacoby Brissett, QB, NC State – After Wentz, most of the other QBs in Mobile were of the developmental/backup variety. All showed flashes as well as limitations. But Brissett, at 6’3” 236lbs, was the most natural passer with the potential to develop into a decent starter. Though not on the North Squad coached by the Cowboys staff, Brissett still had a formal interview with the Cowboys this week. Kenyon Drake, RB, Alabama – While several of the other South Squad RBs put themselves on the radar of scout’s (TCU’s Aaron Green and Texas Tech’s DeAndre Washington), no one had a better week than Drake. Showing impressive vision in the hole, great burst on the edge and (maybe most important) staying off the trainer’s table, Drake will be a 3rd-4th round steal who is ideally a complimentary back in a RB committee with kick return ability. Kenneth Dixon, RB, LA Tech – While the South Team had a number of impressive runners, the North had one lead dog and that was Dixon. With 72 rushing TDs in his college career, Dixon showed he could be a lead back despite his size (5’10” 215lbs). My only concern is his career 15 receptions in 4 years at LT and 8.5” hands which led to a dropped pass in the game. Braxton Miller, WR, Ohio State – The former QB turned athlete, Miller showed his skills returning kicks, at WR and even taking some handoffs at RB in practice. While far from a finished product at wideout, Miller shows lots of promise and is probably somewhere between Percy Harvin and Cordarelle Patterson in his NFL comparison. Jay Lee, WR, Baylor – Lee was clearly the #1 target for most QBs on the South Team in the game on Saturday. At 6’2” 214lbs, Lee showed nice route running and sure hands. I worry a little about his hands as he doesn’t give a soft landing spot often, Lee could still be a very productive #2 WR opposite a star much like Terrance Williams in Dallas. Glenn Gronkowski, TE/FB, Kansas State – The younger and smaller Gronk brother, this Gronkowski (6’2” 238lbs) will have to find his place in a variety of rolls from TE, FB or H-back. However, He showed nice point-of-attack blocking and soft hands in space to excel in the right system. Nick Martin, C, Norte Dame –Another younger brother, this time the Cowboys’ G Zack Martin, Nick played center for the North Team and was very solid all week. This year’s draft is unusually deep at centers and Martin is one of the reasons why. Vadal Alexander, G/T, LSU – Hitting all the size markers (6’5” 336lbs with 34.25” arms), Alexander played both guard and right tackle and did well all week against some highly touted defensive line prospects. Probably best suited at guard, Alexander had a mean streak and looked like a quality mid-round pick. Noah Spence, DE/OLB, Eastern Kentucky – After being dismissed from the Big 10 for several failed drug tests, Spence dominating on the field all week and recorded 1 sack and 2 QB hurries in the game. If not for the off-field questions, Spence would be a mid-1st rounder. Even still, someone will take a chance on him due to the impressive talent of Spence, likely in the 2nd or 3rd round. Sheldon Day, DE/DT, Notre Dame – Day is an interesting study. On tape and in practice, he pops whether using strength or speed at end or tackle. However, at 6’0” 286 lbs, his fit some schemes is a question. Probably best suited as a 3 tech in a 4-3, Day is just a player, no matter the position. Adolphus Washington, DT, Ohio State – After being suspended at the start of the season for the Buckeyes, Washington came to the Senior Bowl to answer those off-field questions and prove he is worthy of a 1st round choice. In a stacked DT draft class, Washington did nothing in Mobile to hurt his cause and may have succeeded in securing a 1st round choice. DJ Reader, DT, Clemson – Though Sheldon Rankins of Louisville got more of the hype on the D-line for the South Team, Reader really shined and showed more than just a run-stuffing body (6’3” 340lbs). Moving well and getting nice push versus the pass, Reader moved up my board this week. Kentrell Brothers, LB, Mizzou – Brothers seemed to be at the bottom of every pile for the South Team on Saturday. At 6’0” and 249lbs, Brothers looked instinctive and ready to man the middle in the pros. Harlan Miller, CB, SE Louisiana – Small school corners that stand out and send scouts scrambling for tape has become an annual event the past few years. Miller is this year’s guy, at 6’0” 182lbs and competing well all week. Deiondre Hall, CB, Northern Iowa – The football factory that is Northern Iowa has done it again, with a big corner named Deiondre Hall. In a week marked with corners who don’t play the ball, Hall showed nice fundamentals and used his size well in both the pass and run defense. KJ Dillon, S, West Virginia – Dillon’s week was more about flash than consistency, but when the flash includes bone-jarring hits in the run game and a blocked field goal it can make up for it. Dillon is a natural playmaker who will start as a special teamer and hopefully develop into a starter with some coverage coaching. James Bradbury, S/CB, Samford – Like his fellow alum from Samford last year, Jaquiski Tartt, Bradbury is a big hybrid safety who is finding a new home in today’s pass happy NFL. Bradbury showed nice ball skills in practice and could earn a 3rd or 4th round grade with a solid combine. Kevin Hogan, QB, Stanford – I really wanted to like Hogan, as he is a smart leader and shows nice touch. But his lack of arm strength and poor footwork except when on the move is too much to overcome. Hogan could be a inexpensive backup in a zone blocking scheme similar to what Mike Shannahan ran with Jake Plummer in Denver, but otherwise is a late rounder at best. Spencer Drango, G/T, Baylor – Drango had a really tough week, getting abused by the top D-line prospects on both squads, Drango showed he can only be a guard in the NFL and his leverage is questionable. Shawn Oakman, DE/DT, Baylor – I hate to pick on 2 Baylor Bears in a row, but Oakman just has never lived up to his look. 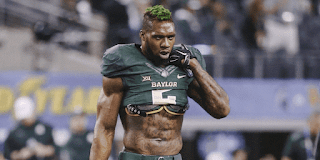 Never has the phrase “looks like Tarzan, plays like Jane” applied more to a player than Oakman. Though I wouldn’t say that to his 6’7” 269 lbs face. Even as the South Player of The Game, I was just not impressed with Oakman as anything more than a rotational 3-4 DE. Kyler Fackrell, OLB, Utah State- Fackrell just doesn’t seem to have a real position, not showing enough pass rush skills to play 3-4 OLB and not enough speed to play as a 4-3 SLB. Maybe he can develop, but I wouldn’t take him before day 3. Eric Murray, CB, Minnesota – Murray spent his week grabbing onto receivers and not turning for the ball. That doesn’t fly in the NFL these days. Cyrus Jones, CB, Alabama – Though he had a nice game in the Senior Bowl, Jones looked small and weak in practice all week. Maybe he just raises his play for gameday but through Friday I thought Jones was a 4th corner at best.